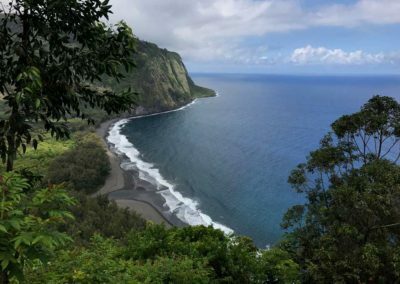 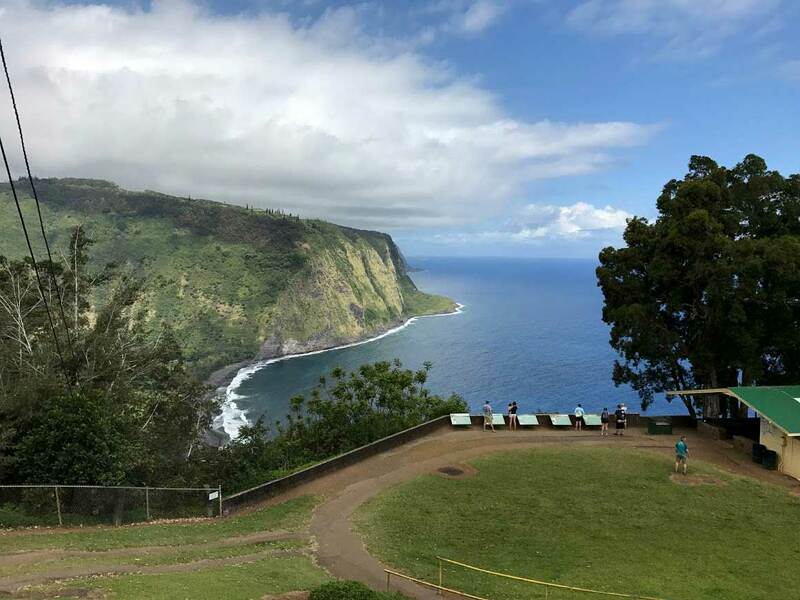 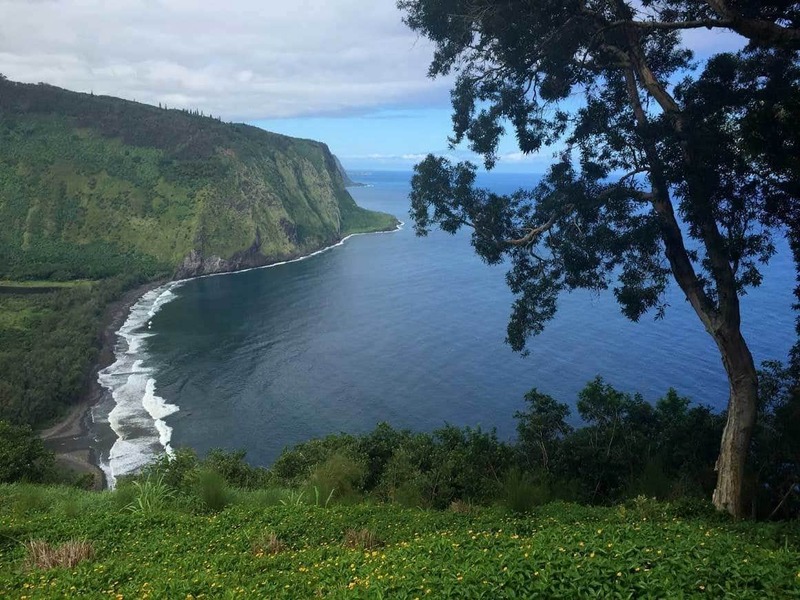 Hawaii Big Island Hiking Trail: Featuring black sand beaches, a lush tropical rain forest, and waterfalls that flow into the ocean, Waipi’o Valley is a hiker’s bastion. 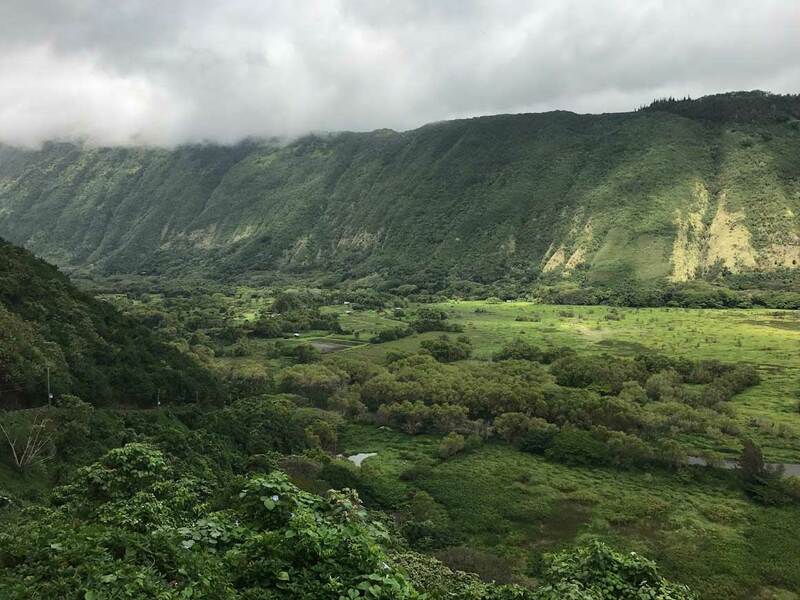 Located a 30 minute drive north of Akaka Falls, this long protected valley is located 2,000 feet below the surrounding island terrain and can be difficult to access. 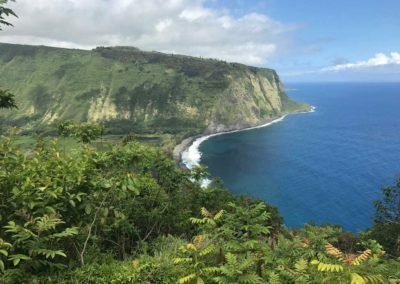 The trail down to the valley floor is steep & can be challenging to hike in the Island’s humidity. 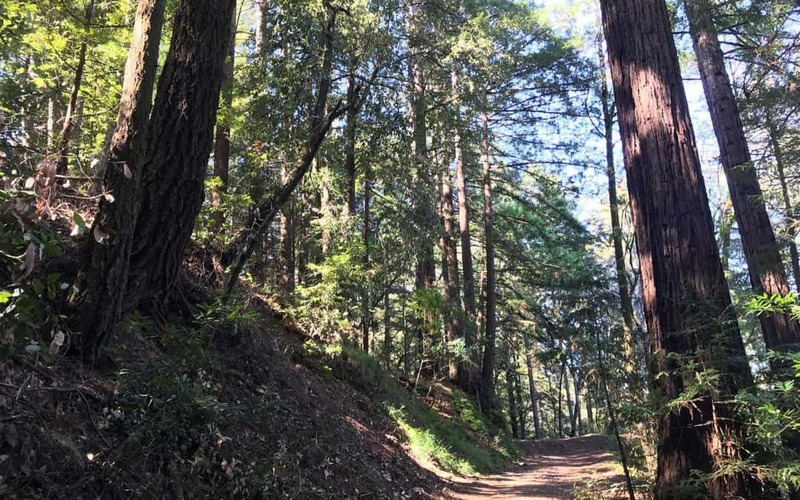 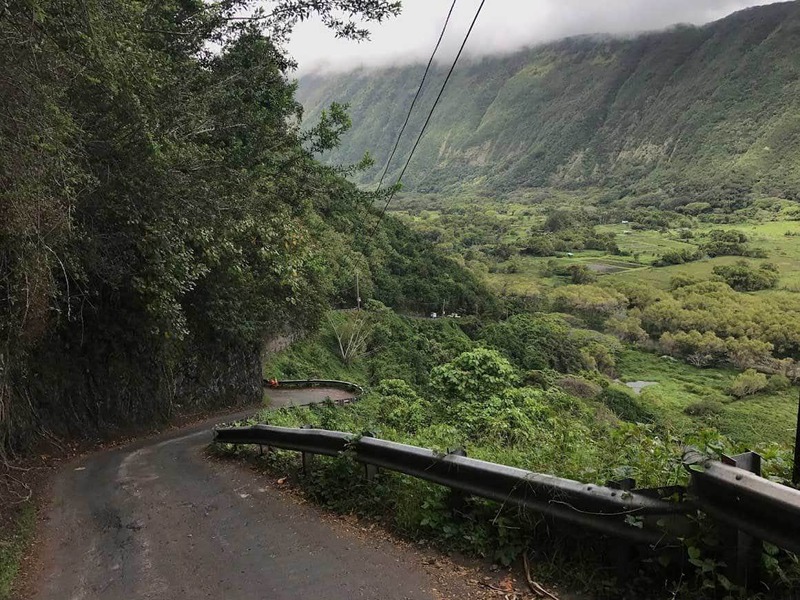 Only cars with 4-wheel drive are permitted to drive down to the valley floor. 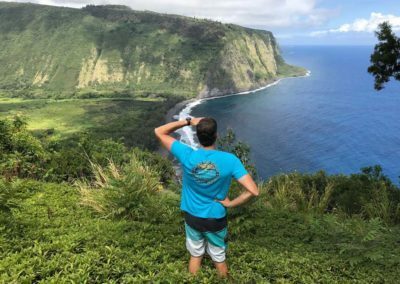 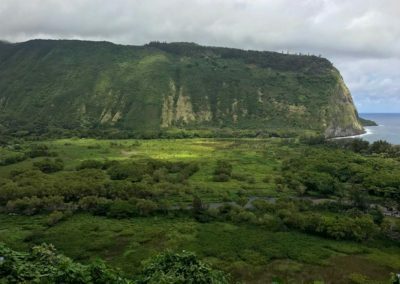 If you prefer an easier option to see Waipi’o Valley, the trail overlook provides scenic panoramic views from the top of the valley’s edge. 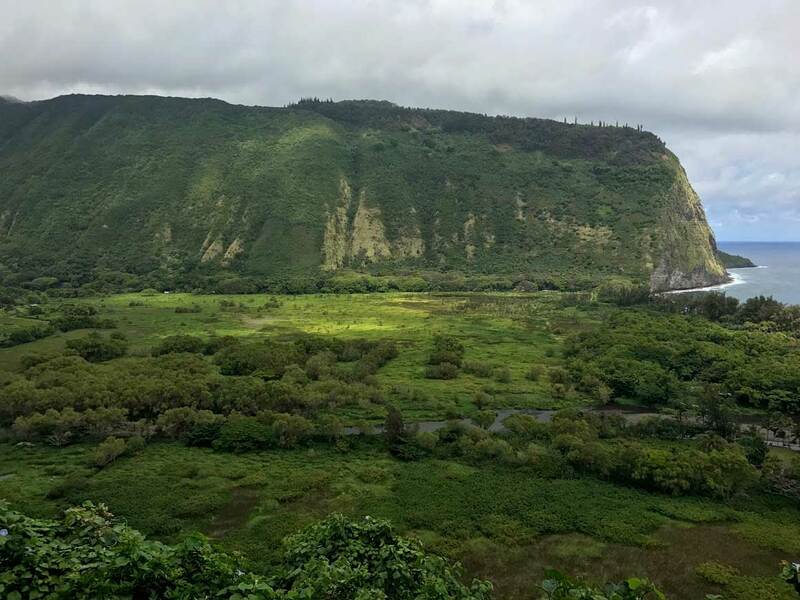 Waipi’o Valley is very sacred as it was the residence and capital of several Hawaiian kings in the 18th century. 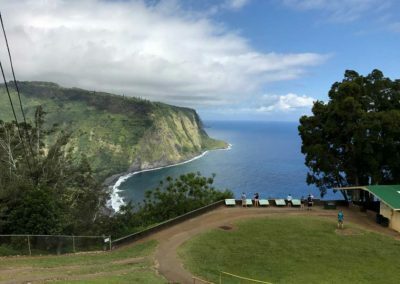 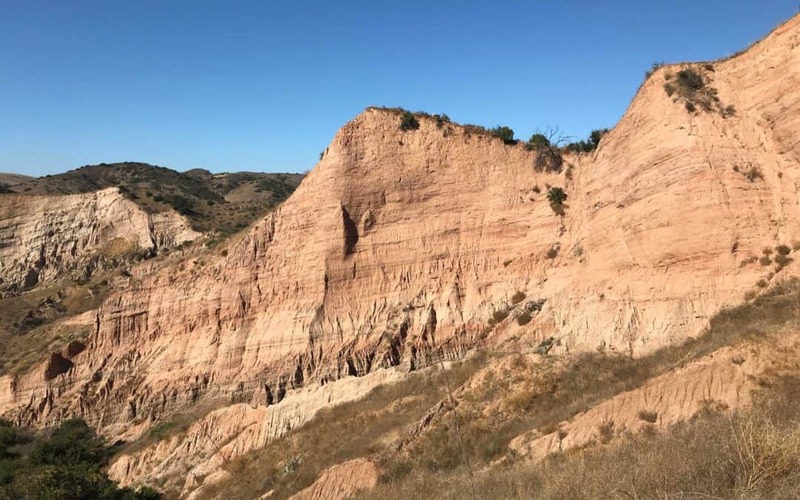 The royal court took residence in the area due to its bountiful valley region, natural beauty with water falls and protection from the valley’s floor. Waipi’os beach features black sand and an excellent surf break, which is popular with surfers. 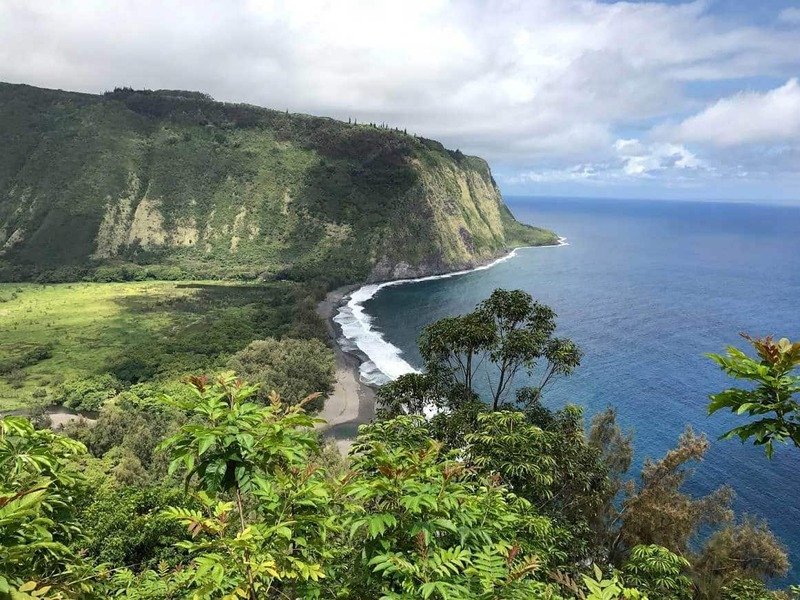 Tip: There is a small town before you arrive in Waip’o with an excellent local grocery store, which features fruit, drinks and poke made daily. 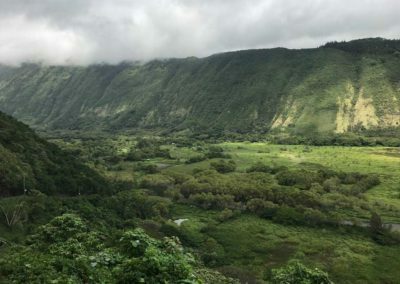 Waipi'o Valley is known as "Valley of the Kings"
Year-Round: Waipi’o Valley is accessible year-round. 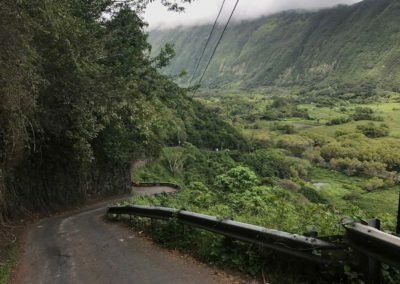 However during raining seasons, it can be difficult to access and maneuver down the steep hill. Use cation. Yes, dogs on leashes are allowed to hike down to the Waipi’o Valley. 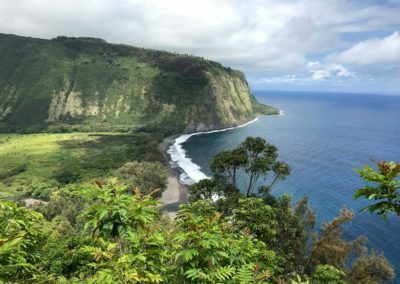 Hawaii is full of vibrant life & history! 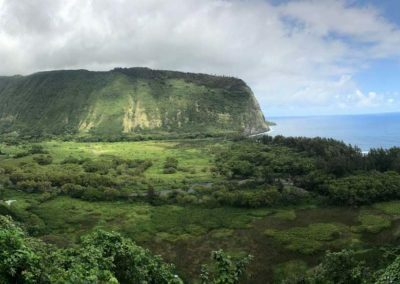 Hikes, such as the Old Airport Trail are nostalgic and bring back memories of the Island’s rich history. 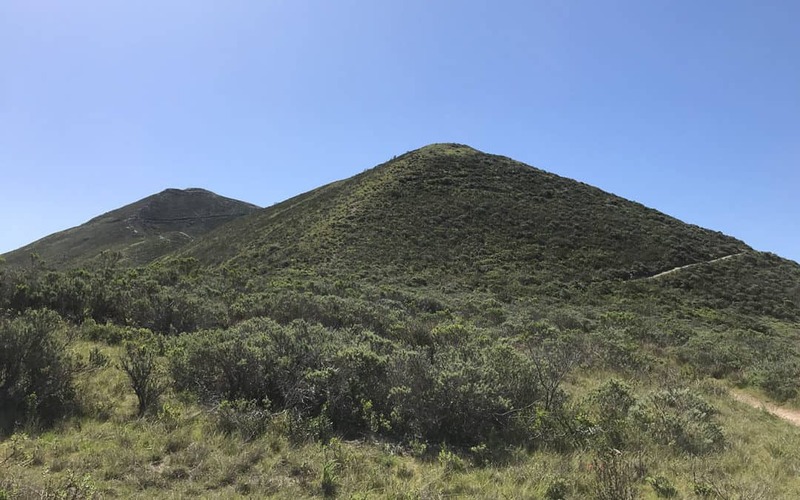 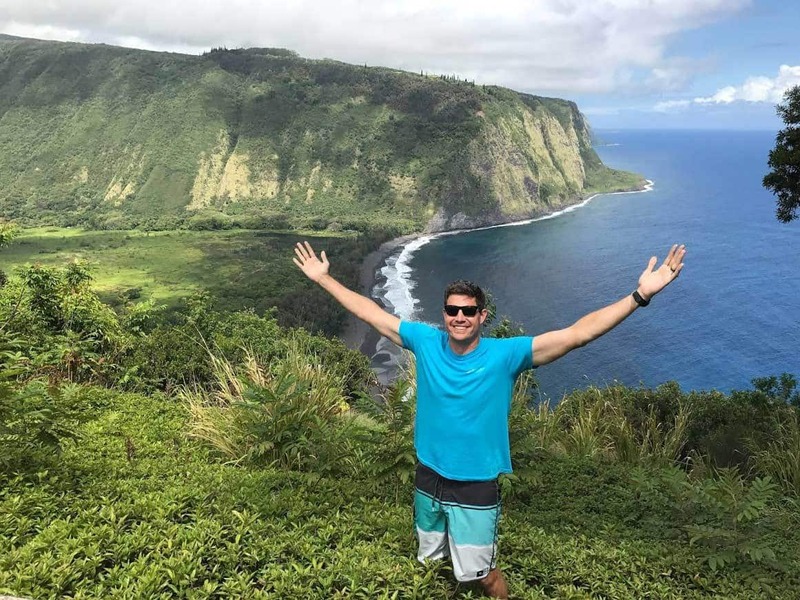 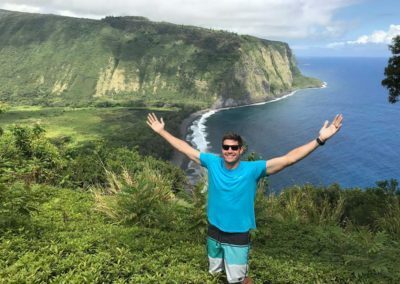 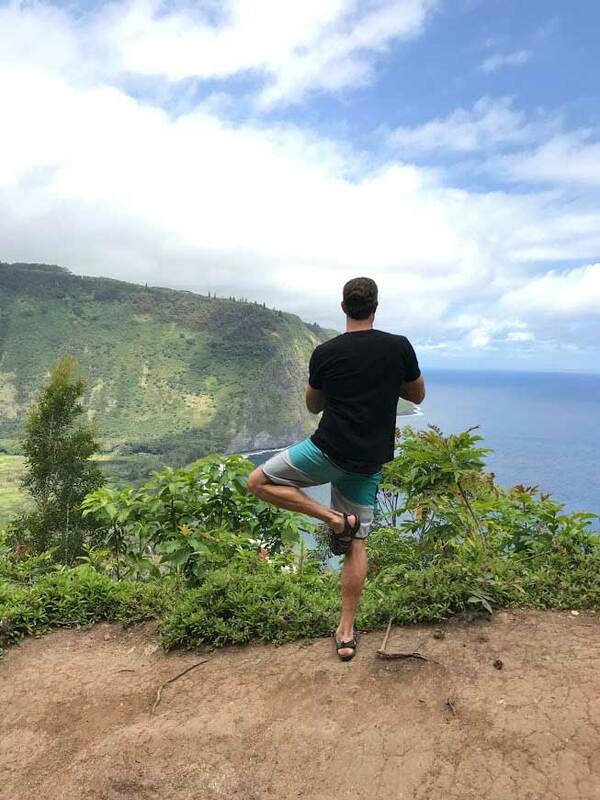 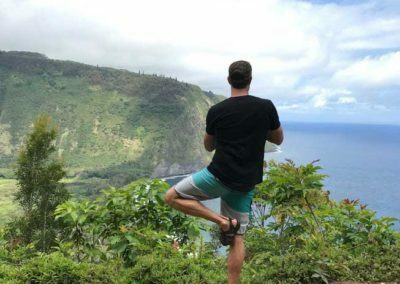 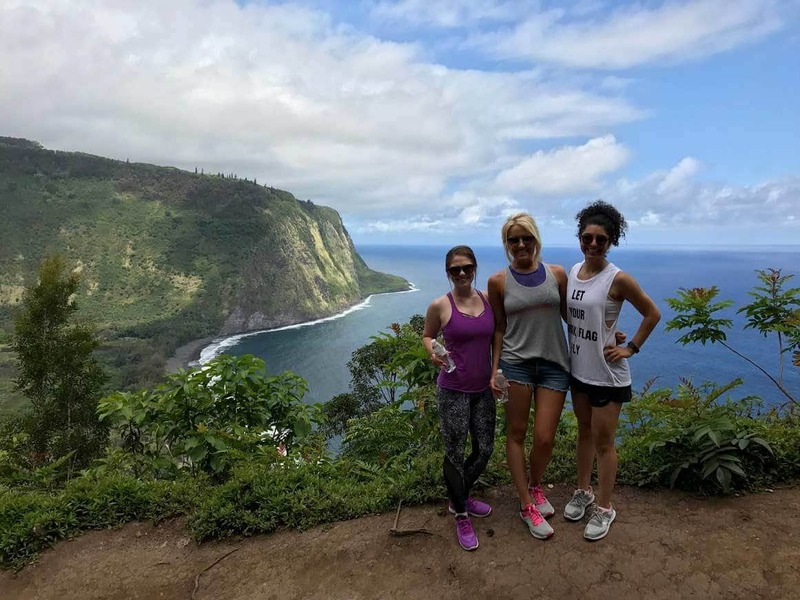 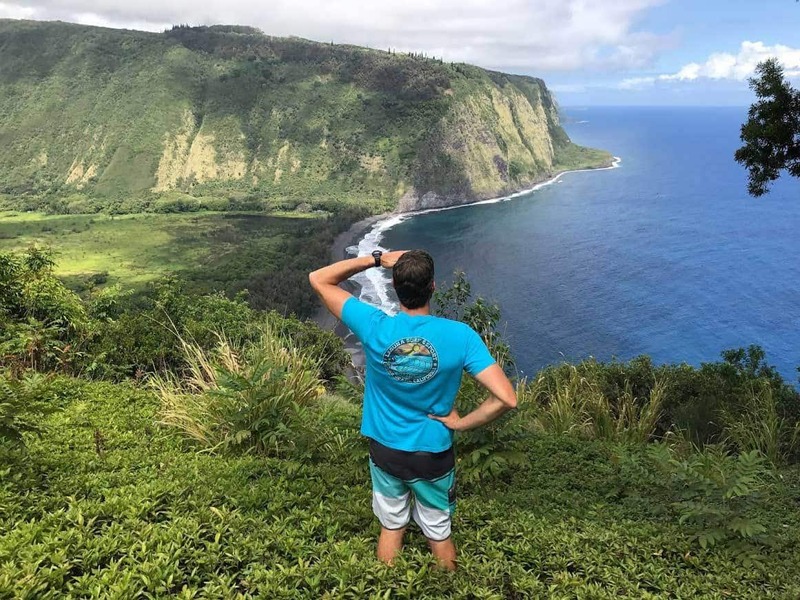 Similarly, The Waipi’o Valley hike bring Hawaiia’s rich cultural history to life and is an incredible way to experience Hawaii in its pure state. 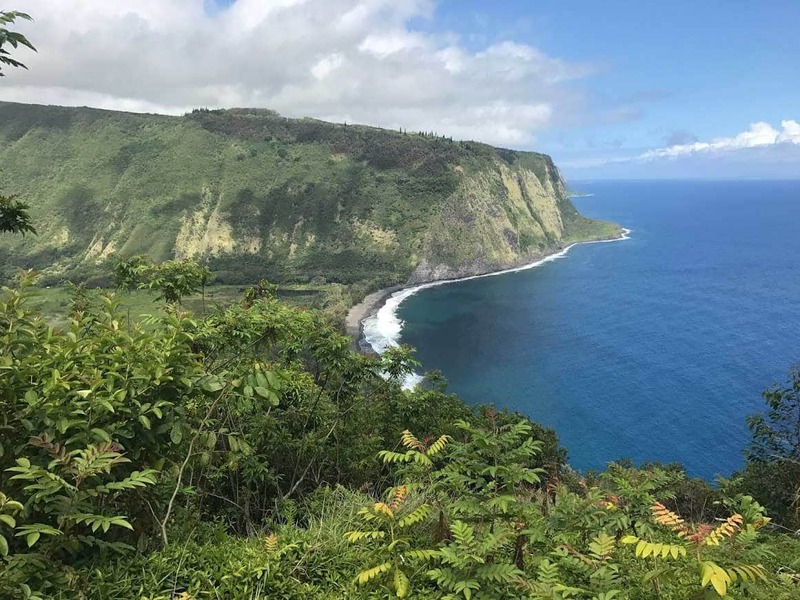 We loved the drive to Waipi’o from Kona as it provided spectacular views of the entire island, including farm land, volcanic terrains & rain forest. 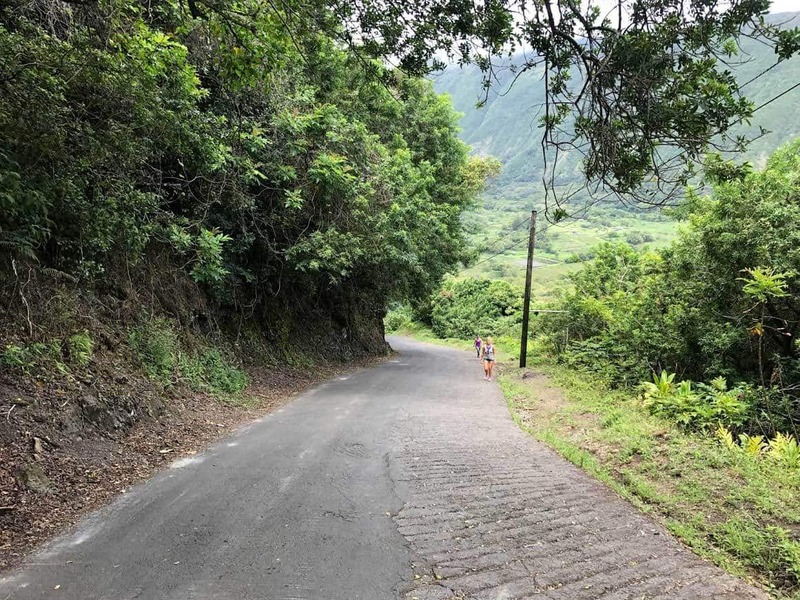 As you drive closer to Waipi’o the area is very rural and undeveloped and eventually turns into the paradise of Waipi’o Valley. 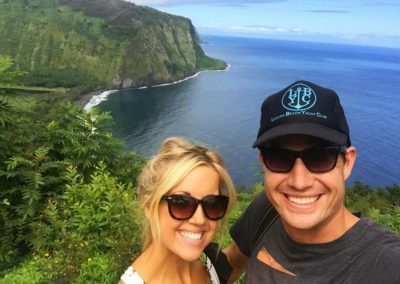 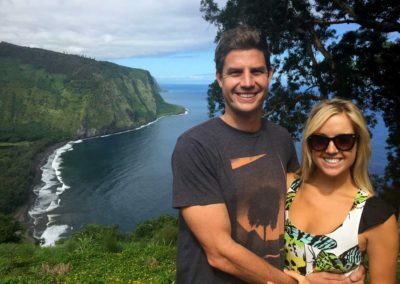 This Hawaii adventure is one to add to your bucket list!